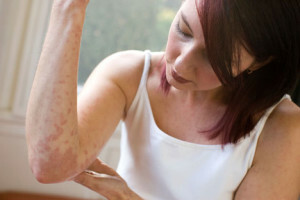 This is a form of allergy treatment that combines the ingredients of fexofenadine and pseudoephedrine. Together they are used to make Allegra D 12h. Fexofenadine is used as antihistamine that can reduces the production of histamine by the body. This is a natural chemical that can cause such symptoms as sneezing, itching, runny nose and watery eyes. In conjunction with fexofenadine, pseudoephedrine works as a decongestant to shrink the nasal passage blood vessels. When the blood vessels of the nasal passages become dilated it can lead to congestion. For allergy treatment Allegra D is used to treat the problems of coughing, itchy or watery eyes, skin rashes, hives, itching, sneezing and any other conditions that are common to allergies and colds. Allegra D is also use for other purposes that are not related to this particular subject. This medication should not be given to a child without a doctor’s permission. This is because deaths have been known to occur with children when such medications are not used properly. Thus one should also not used any such types of allergy or cold medicines offered without prescription unless one first checks with one’s doctor in the even one has any possible health problems that might cause problems. And one should not use this medication with certain other medications. So be sure doctor is informed of any medications used. There are certain conditions one needs to be sure doctor knows about before using Allegra D. These would include things like diabetes, kidney disease, glaucoma, heart disease, a thyroid disorder, enlarged prostrate, heart disease or problems wit urination. The doctor may have to adjust one’s dosage in the event any of these problems are known to exist. And it extra important that because of the risks for taking come cough and cold medicines while using something such as a MAO inhibitor, one makes sure the doctor is informed of that fact also. It is not known if Allegra D is harmful to an unborn child. Should a woman either be expecting or things she will become pregnant while using the medication she will need to inform the doctor. This is also true if the woman is breast-feeding. 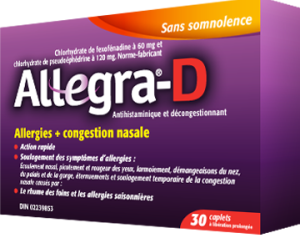 Allegra D should be taken only in the amounts prescribed. One shouldn’t alter the usage without doctor’s permission. And one should not use it for longer than recommended period without a doctor’s permission. One should also check with the doctor before giving this medication to any child. The pills should be taken with a glass of water. These capsules should not be opened and the contents chewed. This can cause a problem of it getting too much into the system at one time. And if there is no improvement in one’s condition after seven days one should let the doctor know. Plus the doctor should also be informed in the event a person is expecting to have any kind of surgery in the near future as well as te surgeon. This medication is to be kept as room temperature for storage purposes. There are certain possible side effects that can take place when using Allegra D. These can include things such as fast and pounding heartbeat, confusion, hallucinations, severe dizziness, increased blood pressure, easy bruising, urinating less often, and severe headaches. 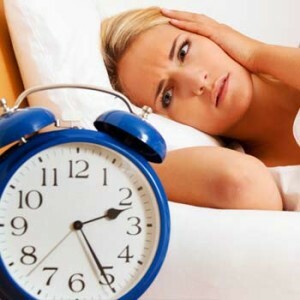 In addition one may also experience things like blurred vision, dry mouth, nausea, mild loss of appetite, upset stomach, sleep problems, restlessness, skin rash, drowsiness or itching. There may be other possible conditions that can exist too. Those one can learn from talking to one’s health care provider. He or she will also be able to give any additional information with regards to any risks that might occur from its use. Whatever problems are experienced should be reported to the doctor right away.